“Game 1.” Boy, that feels good to type. And even better, that game felt good to watch. The Reds took a cue from the Cardinals yesterday and started the season by beating up on Miami to the tune of a quick 0-4 win. Johnny Cueto shut out the Marlins through seven innings of 3 hit work. He also walked two and struck out four. Then Aroldis Chapman came on in the eighth and struck out two-of-three for his scoreless inning. Finally, Sean Marshall also struck out two-of-three for a scoreless ninth. Just beautiful. 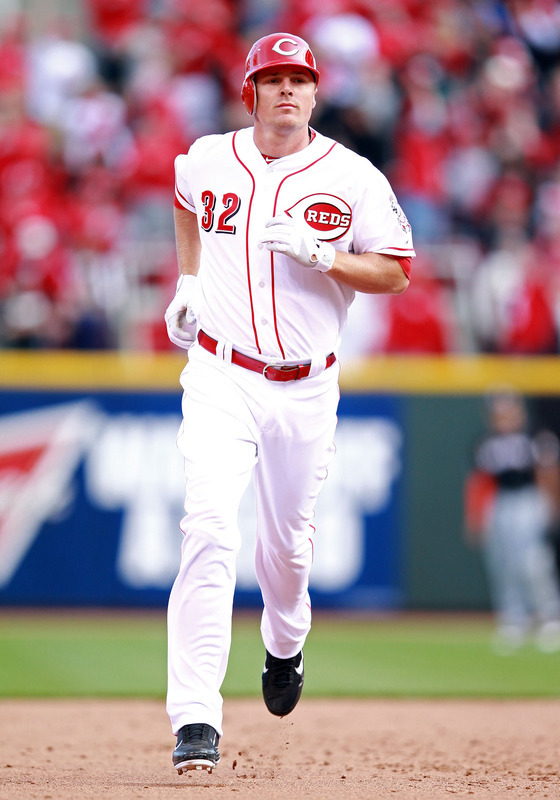 On the offensive side, the Reds got the scoring going early when Jay Bruce brought in the first run on a sacrifice fly. He ended up with two RBI, in fact, and a run scored. Ryan Ludwick and Chris Heisey had the other two RBI; Zach Cozart and Scott Rolen the other two runs. To be fair to the Marlins, no only did they have two opening days in a row, but they also had to travel for a day game after a night game. What kind of sadist scheduler does a thing like that to a team? But Miami should be better than they’ve looked the last two days, and after a day of rest tomorrow, they’ll get a chance to prove it on Saturday. Saturday is “Opening Night,” the pomp and circumstance around which is wholly invented, but that doesn’t change the fact that it’s a damn fine event nonetheless. The RHM family will be in attendance–even though it will mean two inter-state drives in three days–because it’s just so darn fun. First pitch is at 7:10 p.m. The Marlins will send out Ricky Nolasco against our new right-hander, Mat Latos.